I’ve never been a fan of Valentine’s Day. The idea of a holiday that instills in an entire culture that there is one best day of the year to proclaim your love? Ludicrous. One day to give flowers and chocolate and jewelery? Rubbish. One day on which you are less somehow because you are not partnered up? Insanity. Now I can hear you thinking ‘lovely rant, but you have made heart-shaped red tarts and posted them the day before Valentine’s Day, sell-out’. Come on, you know there is more to it than that. 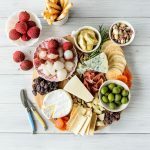 For example when the heart-shaped tins are winking at me from the grocery store shelf, a 4-pack on sale for $7.99, it is infinitely easier to purchase them immediately than it is to find my mini-round tart tins in a box in the garage. 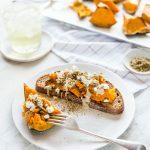 And for as obsessed as I am with peaches this summer – and as amazing as they would be with this crust – there was an enormous bowl of cherries in my fridge and not a peach to be seen. 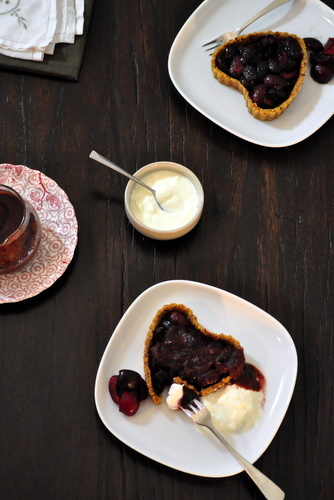 So you see, instead of round-shaped peach and almond tarts you get heart-shaped cherry tarts, and it just so happens tomorrow is Valentine’s Day. Good save, right – ha! So go. Go tell a person you love that you love them today, just because. Then tell them again tomorrow because you can, not just because you have to. Then do it all again the next day. 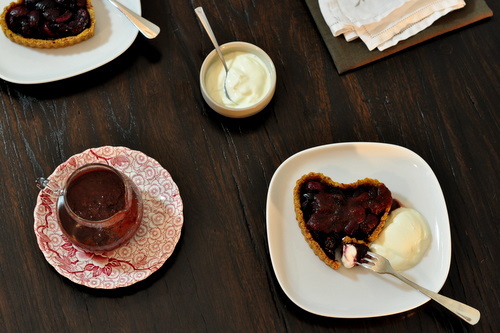 In the mean time make them these tarts, as a whole pie or as squares or circles or hearts or dragons, because nothing says love like cherry juice running down your chin. And if you want to get me a bouquet, I’ll take a ‘flour bouquet’ over a ‘flower bouquet’ any day of the year. Pit and quarter cherries into a medium bowl. Stir in liquids. Combine then stir in dry ingredients. Allow to sit and marinate while you make the Almond Cornmeal Crust. Press crust into pie tin, creating a thin but even layer on bottom and sides – see notes for tarts*. 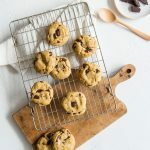 Refrigerate for 10 minutes while the oven preheats to 180 C [350 F]. Place tin on a tray [this is extra important if using tins with a removable bases] and bake crust in the preheated oven for 7 minutes. Remove from oven and fill with cherries, dividing liquid evenly if making multiple tarts. Don’t worry about the oil you see in the crust, it will mix with the fruit perfectly. Bake for 30-35 minutes until cherries are bubbly. Cool in tin. 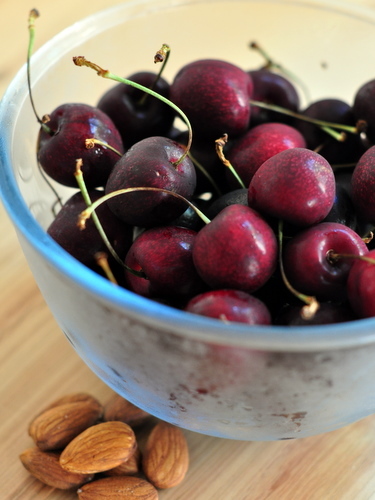 Serve with fresh cherries, Cherry Sauce [see recipe below] and natural yogurt. Filling makes enough for 1 full size pie or 10 – 12 individual tarts. In place of Amaretto you can use the same quantity of Bourbon or Kirsch [Cherry Brandy]. To keep it alcohol-free you can use 1 tsp of almond essence instead. Tarts: 10 cm [4 in] tart tins will hold about 1/2 c of cherry pieces each. For 4 tarts I made a third of the filling recipe using 2 cups of cherry pieces. The crust, while making enough for a full pie, will probably give you 7 or 8 tarts max. I made a full recipe of the crust and will use the left over for something else. I have frozen it un-cooked but could probably bake the shells and freeze them for later. While I am not a fan of single-use kitchen gadgets it’s times like this I do wish I had a cherry pitter. Instead I have purple fingernails. The pic above doesn’t even show half of it. Oops. 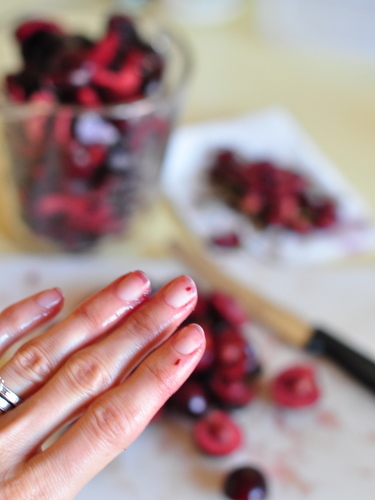 Blend cherries with liquor until smooth. Bring to a simmer over medium heat then cool. Strain if you prefer, I usually can’t be bothered. 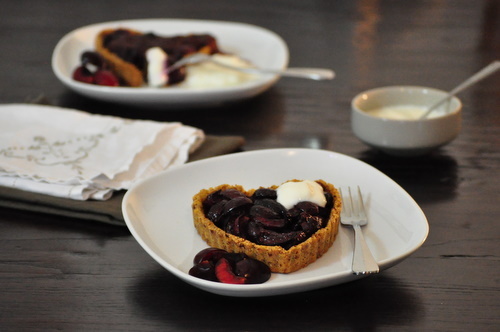 Serve over Spiced Cherry Tarts. I’ be pretty happy with this being served up to me on Valentine’s day too! I love cherries and wish the season was longer. These look so beautiful! You have inspired me to find mine from the cupboard, the ones I’ve never used. I’m not a Valentines day fan either. ohh, I didn’t see the cutters! 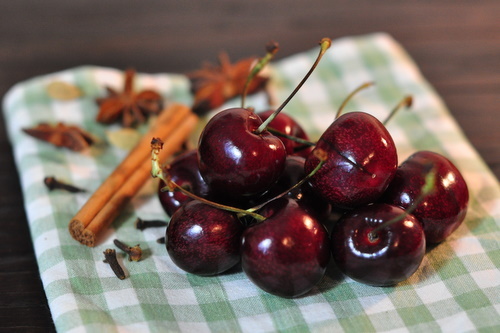 These look so lovely… and I don’t particularly love cherries! Gorgeous cherry pies, JJ. They’re romantic but in a very grown up type of way. Lovely! Look delicious…wish I was there! “nothing says love like cherry juice running down your chin” – I love that. Cherries are my favourite fruit, probably because I hardly ever eat them. We don’t have great access to cherries; they’re still a bazillion dollars a kilo at my grocer. I’m very jealous of your big bowl in the fridge! glad you appreciated that one! They are still so expensive here too but better than the rest of the year, it’s all relative really isn’t it! 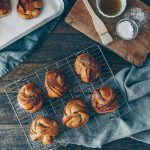 Rather than worry about Valentines day, all I want to do now is go out and snag me some dinky little heart baking tins….and some cherries! A “flour bouquet” haha. You got me with that one! 🙂 These cherries look gorgeous! Cherries (along with peaches) def are summer. Who can say no to a heart shaped pie? Looks fabulous! You know I love cherries. Your heart shaped pies look fabulous! I’m totally with you on the whole valentines day thing. It shouldn’t be just one day a year that we show people that we love them…it should be year round. And I think food is a perfect way to do that.